The virtual reality and 360-degree video markets may be here to stay with hundreds of companies now operating in the space. The global virtual reality market currently has more than 460 companies operating within it, according to a new study by ABI Research. Of those, more than 60% are focused on creating VR applications, content distribution or the VR systems themselves. More than a third (35%) of VR and 360-degree video companies are involved in the media and entertainment industries and 10% are focused on marketing and retail. Other areas of focus include architecture, construction and real estate, according to the study. “While most companies engaging with VR live in the entertainment realm, other segments like real estate, marketing and sponsorships, healthcare and training also represent huge opportunity in these early years,” Michael Inouye, principal analyst at ABI Research, said in a statement. Unlike the relatively short-lived wave of 3D TVs years ago, the market for virtual reality may be more poised for long-term success, according to Inouye. “With first-generation hardware sales lower than expected, some industry professionals suggest parallels between VR and 3D, but the wealth of companies active in this space and deep-seeded belief in VR stand in marked contrast to the short-lived heyday of 3D,” Inouye stated. Currently, the primary limitation of the VR markets across the board is content. 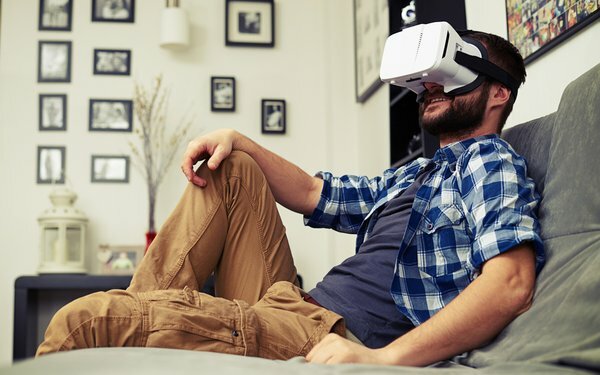 However, VR content and 360-degree video will become more widely available as user-generated content increases in the future, according to ABI Research. This may also be aided by new consumer 360-degree cameras entering the market, such as Nikon’s recently released KeyMission 360 and Samsung’s Gear 360 cameras. Some of these consumer devices also bring new capabilities that merge 360-degree content with current digital trends. For example, Samsung just introduced a new version of its Gear 360 spherical camera that includes integrated livestreaming capabilities. With the camera, consumers can stream 360-degree content in real time on Facebook, YouTube or Samsung’s VR platform using its Gear VR headset. However, the success of the VR markets may be a longer-term realization, according to Sam Rosen, managing director and vice president at ABI Research. ABI expects the global VR market to grow to more than $60 billion by 2021, driven equally by consumer and enterprise industries.